Honda is dedicated to making sure its drivers get the best experience possible from driving our vehicles. A big part of the joy of driving a Honda is the longevity of the car’s life – they just keep going and going! In order to really extend the life of your car, van, truck or SUV, Honda has created an internal system to help drivers better follow the maintenance schedule for their vehicle. They call it the Maintenance Minder. The Maintenance Minder system monitors the vehicle through its on-board computer in order to let you know when it’s time to change the oil or perform regular maintenance. 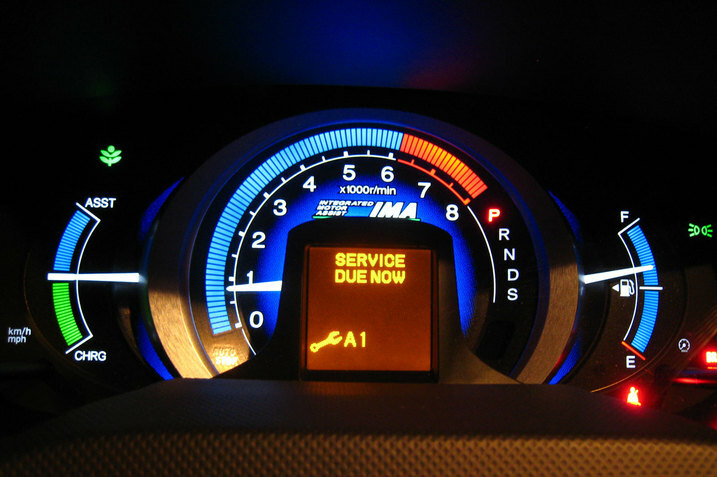 In some Honda models, a small yellow wrench symbol will light up near the other indicator lights on the instrument panel, along with a letter and number indicating the type of maintenance that is due on the car. Older Honda models will show a letter and number combination, letting you know it’s time to bring it into the service shop. When the icon appears, simply press the Select/Reset button until you see the related code. The system monitors the life of your oil since the most recent oil change. Starting at 100%, it will track the operating conditions of the engine (speed, temperature, time and use) and count down the life of the oil as you use the vehicle. Whenever the engine is started, you’ll be given a percentage of the oil life remaining – at 15% the Maintenance Minder light will come on. At 0%, the minder will begin to show negative mileage, letting you know how far your vehicle is past due for service. Sticking to the regular maintenance of your vehicle extends its life and helps increase its resale value. To learn more about why regular maintenance is important, check out this earlier post from our blog. Henley Honda has a complete service shop on location with certified technicians to inspect, diagnose and remedy any issue with your vehilce. Click below to schedule your next appointment!